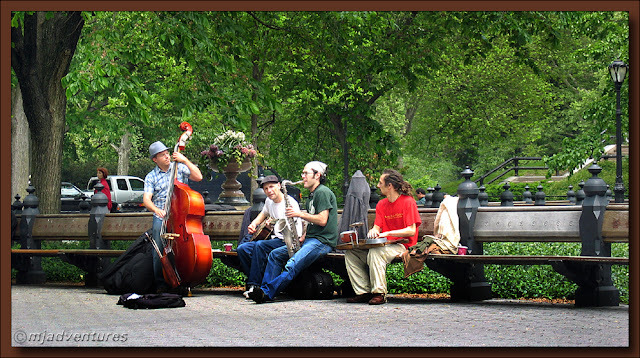 A jazz band sets up shop in Central Park. We stopped and listened to them for about half an hour, then paid them $10 for a CD of their tunes! it's a regular scene in Central Park, isn't it!!! Yeah - that's what I love about it. That - and the squirrels! I wanna go to New York! I picked up an old guide book from 1939 of NY, I suppose it's not the most accurate thing lol however, it was amazing reading about it even back then.